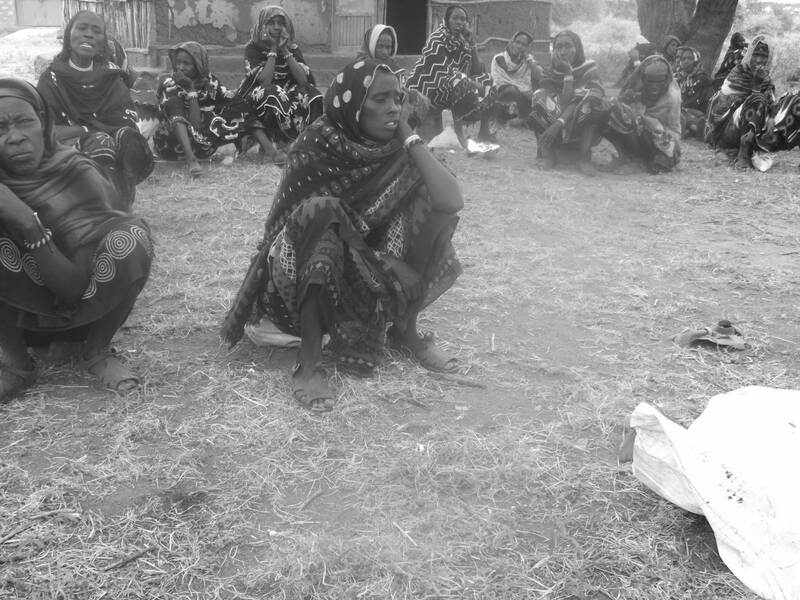 Building resilience in communities vulnerable to climate extremes and disasters in high-risk locations in Ethiopia. Hundee has a 5 strategic area plan for this locality with 2 of these areas already having began being implemented - the provision of cows for poor women in the community and credit and saving coops for women. This is a coop meeting that my wife is attending. they are depositing their savings and discussion what to priorities financially, forming budgets - these coops are extremely important in building the financial skills of the women and supporting them to be confident and effective managers. This is the pond and as you can see, a tall tree stands above it, sheltered by the bank to providing shade so that the water remains cool and fresh and easy access. 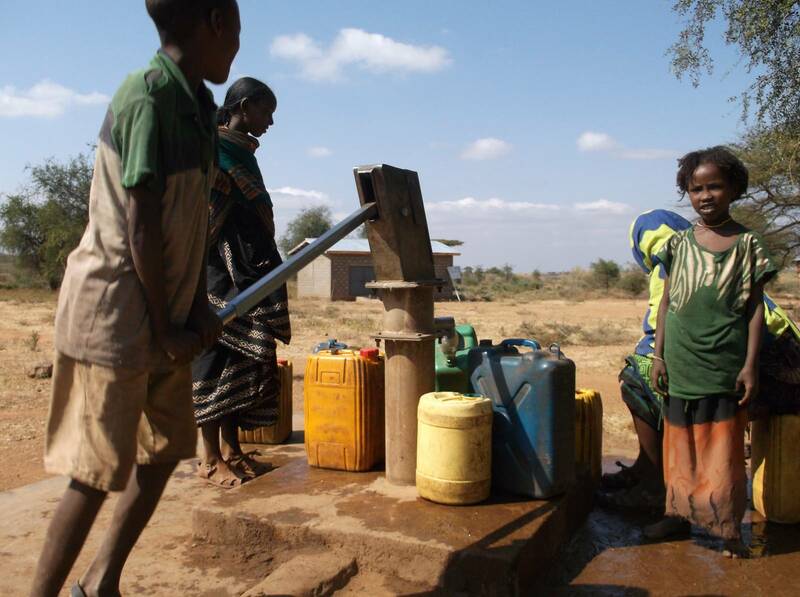 This is important as this is a source of water for our community, both families and livestock. 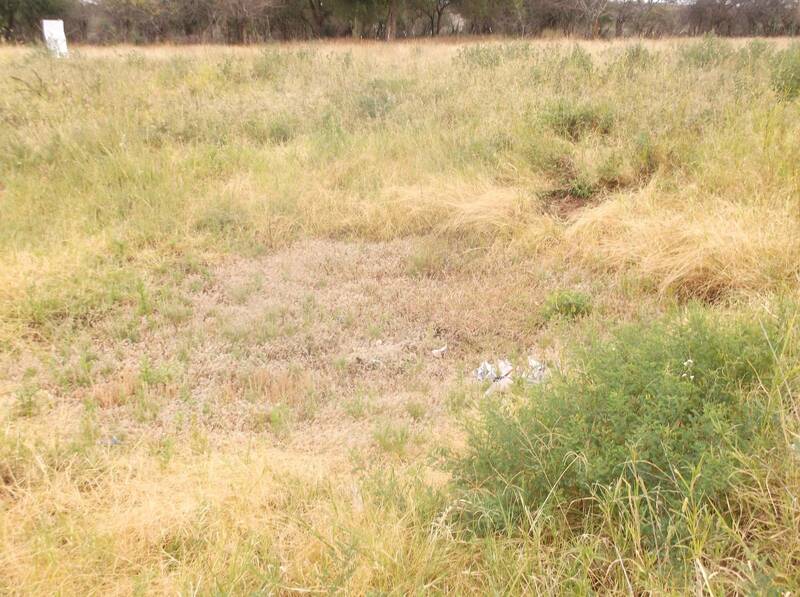 We will soon construct the new pond with the support of HUNDEE, and we must carefully consider points in the planning in order for the water source to remain clean. The self help groups have a meeting every Tuesday and offer loans with only 10% interest to those in need, allowing those who can be trusted to responsibly repay the loan to have cash and livestock to invest in their futures or simply pay for important events such as marriages and funerals with This is our traditional Dabaree system which establishes that when a community member is poor, the richer person provides them with livestock to support them through hard times. When the poorer person has reached a better place, they can repay the person who supported them in the livestock's offspring or sale price. HUNDEE is applying this system in its provision on cows to the poorest women. This model is crucial as it reflects our tradition and avoids us becoming dependent on aid, promoting sustainable change. This photo speaks of my life, showing my pride in being one of the 11 selected to become a local monitor of the BRACED development programme in our community. We are not only some of the community members most effected by climate extremes but have shown potential, built our skills through training and are now able to be analytical and reflect on the changes happening. With my certificate, my camera and my new knowledge and skills, I am fully equipped. I am extremely honored and confident to take on the task. 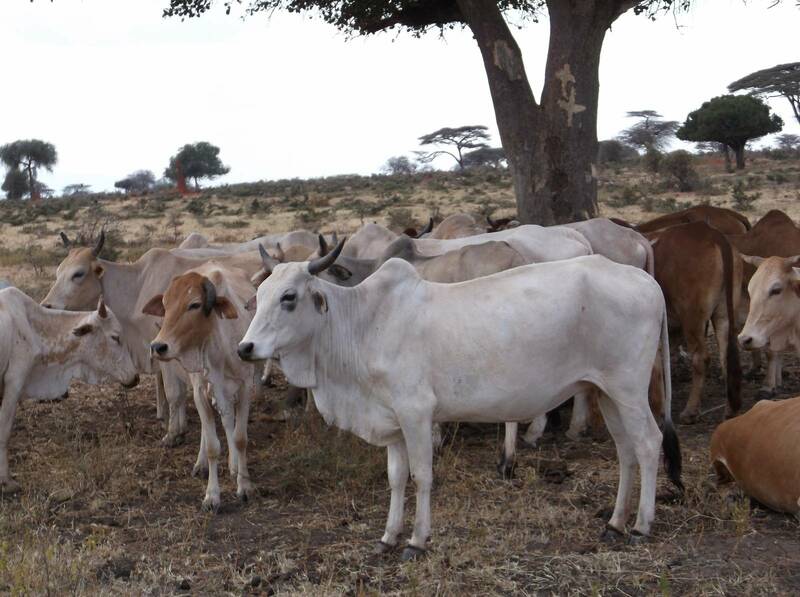 In the last 6 months, we have been asked as a community to nominate 50 women who were in most need of receiving livestock from HUNDEE as part of their new cow provision initiative. 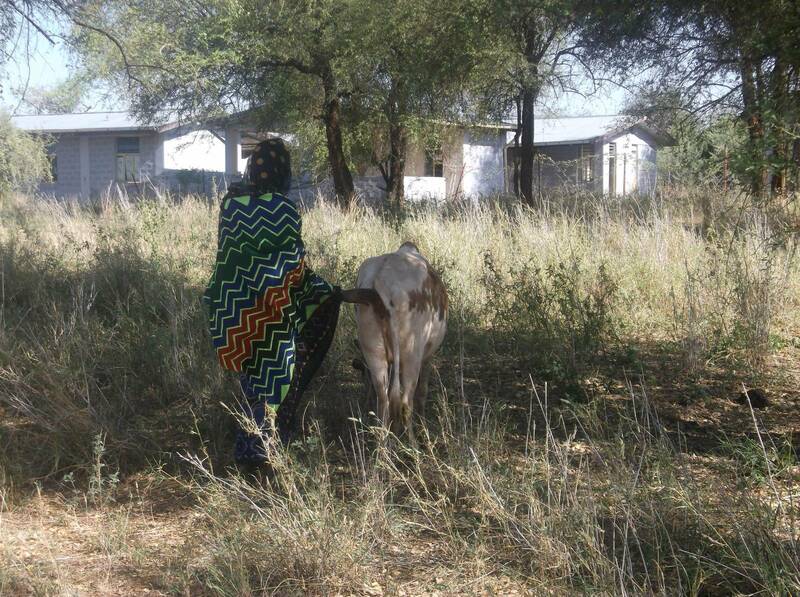 This young women was selected and the cow is now pregnant - I am extremely happy to see this as once the cow gives birth to a calf, the women will earn 'guma' or respect in the community and the calf will be passed on to another poor women in need of support - the benefits will spread beyond these 50 cows. People are bush clearing and this process is coordinated by a development agent. This photos represents the community working together, myself included and fulfilling my role as a community monitor following the progress of these initiatives and the HUNDEE developments to come. I am confident and excited, building my skills to document these changes within out community. This is the pond I fetch water from. 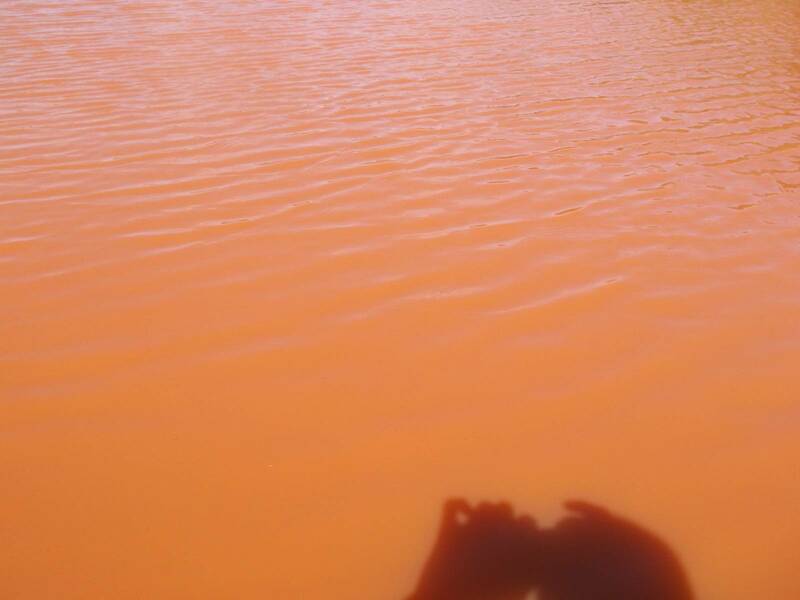 When I last visited, there was a girl that took her shoes off and waded in, breaking the rules and polluting the water. This highlights problems we have with the management system of the water and other resources, something that needs to be improved. 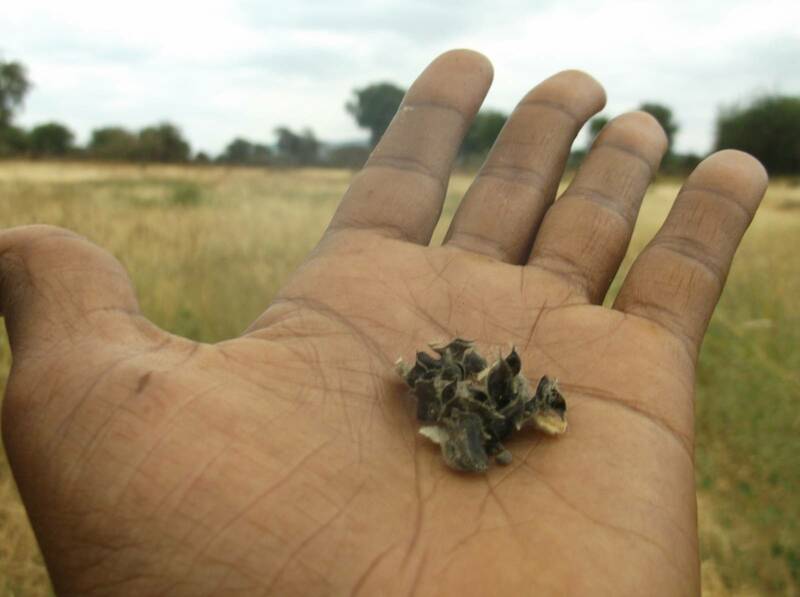 The rain is not enough yet, there is more to come but still we are sewing seeds and some shoots can be seen emerging despite the scarcity of water. Even with this small amount of rain, happiness shoots forth. This is regular community meeting where we discuss development issues. A woman in my cooperative group was provided with a female cow by HUNDEE. Before this, she didn't have a single cow - she was destitute. Cattle are such a priority in our culture, this women didn’t even have any livestock to slaughter when there was a relative's death. This brought great shame to her, in providing her with a cow, HUNDEE have restored respect for the women. 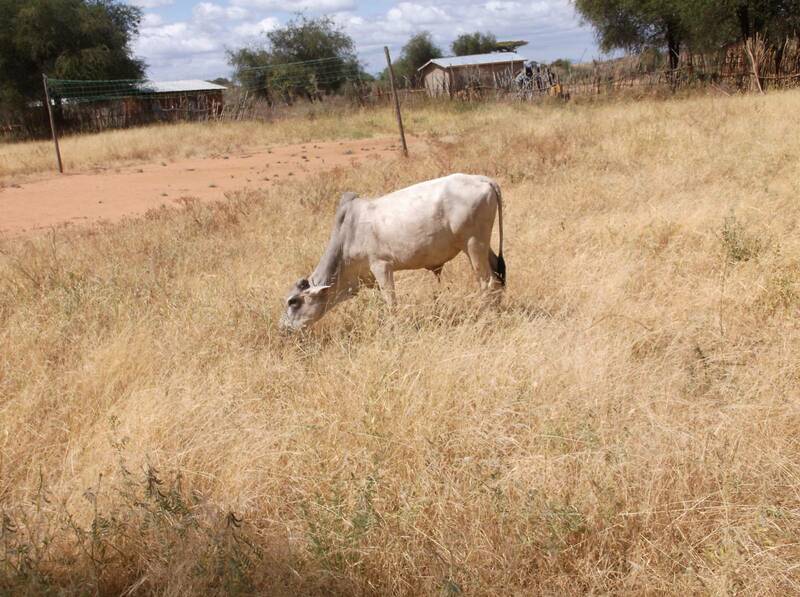 During the rainy season the beauty, hope and prosperity in grass like this is reflected in the livestock and as a result, the people of the community too. I am extremely happy to be part of the Women's Self Help Group initiated by HUNDEE. In 2007 I first began to be part of cooperatives. At first, I was reluctant to take small loans as I was fearful that I would not be able to pay these back. But the groups insisted and I was given 700BIRR which I spent carefully buying my family goats - from there business has grown and I am now today in a much better place. I am currently building a new house for my family. 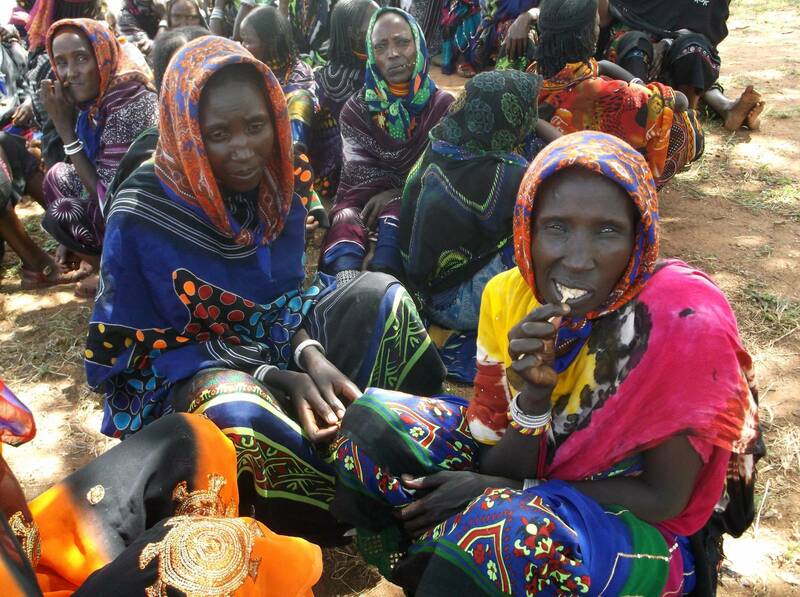 It is obvious that temporary aid changes nothing but coming together in women's coops or Self Help Groups like HUNDEES promotes a collaborative effort - we are richer together and this will no doubt bring change for the community. I have demonstrated my diligence and motivation and am very proud to be playing a leading role in HUNDEE's Self Help Groups. This is a new house for my family and it's been under construction for 3 weeks now. I am in a better place now and have saved the little I have to budget for it. 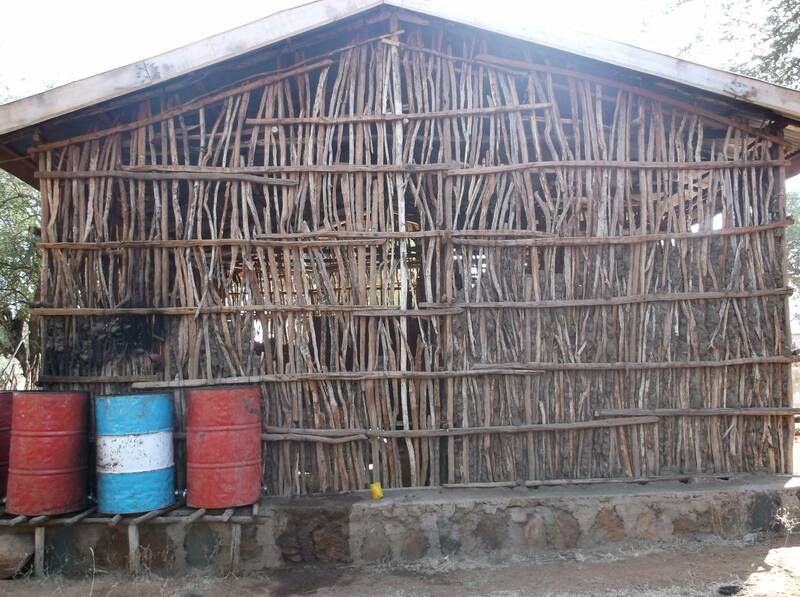 I received training through the poor women's cooperative groups, facilitated by a local HUNDEE trained facilitator and these new skills have supported me to do manage the finances for this construction. I am looking forward and feel positive about the further training I will receive from the cooperative. The problem of food availability was very challenging for us. We did not know that we could have utilized the land around our homes and ploughed it for growing crops rather than walking many miles to buy a sack of wheat from someone else. Now, with our training, we are learning to farm the land around us and this has enabled us to feed our families. Yesterday the community held a meeting with the local administration officer from the government to discuss the options for a new water source that HUNDEE will support us to build. 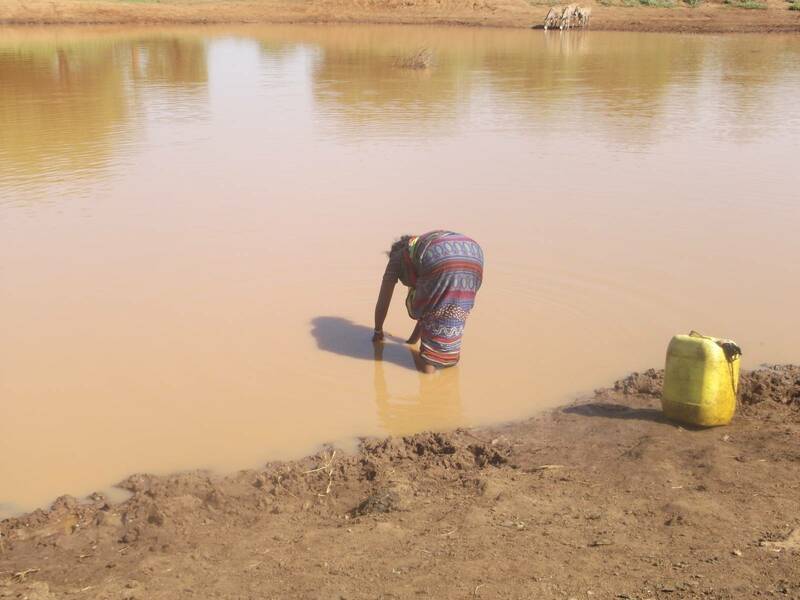 There was the options of a pond or a cistern and the decision was taken by the community to build a cistern firstly as this will provide clean drinking water for human consumption, not only our livestock. Collectively we decided on the location for the the cistern in a low area where water comes down from the mountains. It is a central location which serves all of the villages in our cluster and is only 30 minutes walk from my own village. We will communicate these decisions to HUNDEE and hope that construction can begin soon. Since the new cistern is near to my village, I will contribute my labor to its construction with all my strength. I will use my photovoice skills to record the construction process, feeding back to HUNDEE to ensure it runs smoothly and using the photographs to encourage others to contribute their part to the labor. This is how it will be constructed, 50% financial/resource support from HUNDEE and 50% community contribution in manual labor etc. This is the radio in my house. 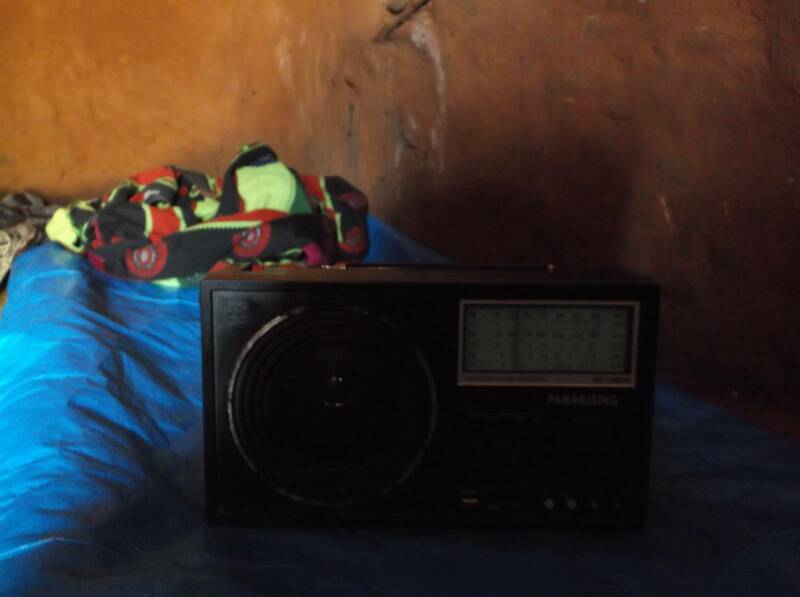 I am not listening to this radio but my children listen to the weather forecasting and the metrology experts. It can compliment traditional weather forecasting methods, and not just for my each household - we share this information with the other members of the community. Even though I have this, I have no time to listen to it as I am outside working all day. 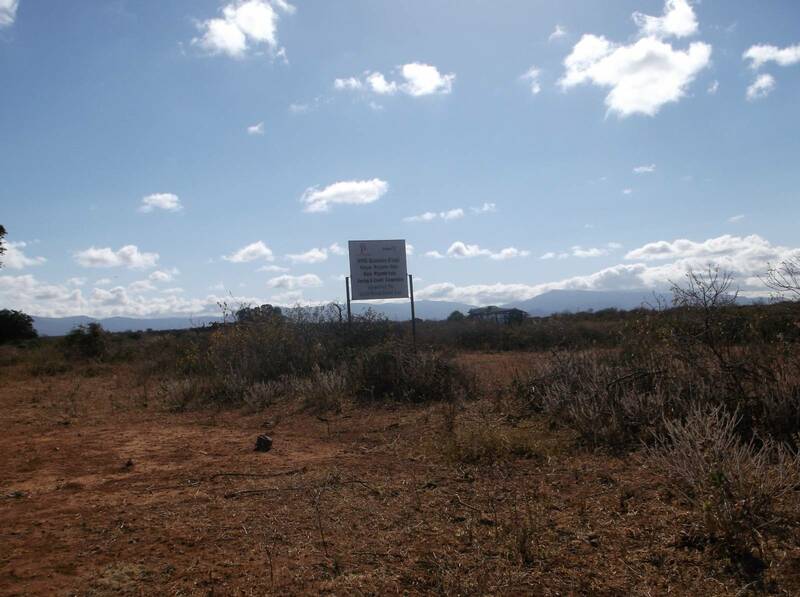 This is the residents area within the community and is where the Savings & Credit Cooperative building is. 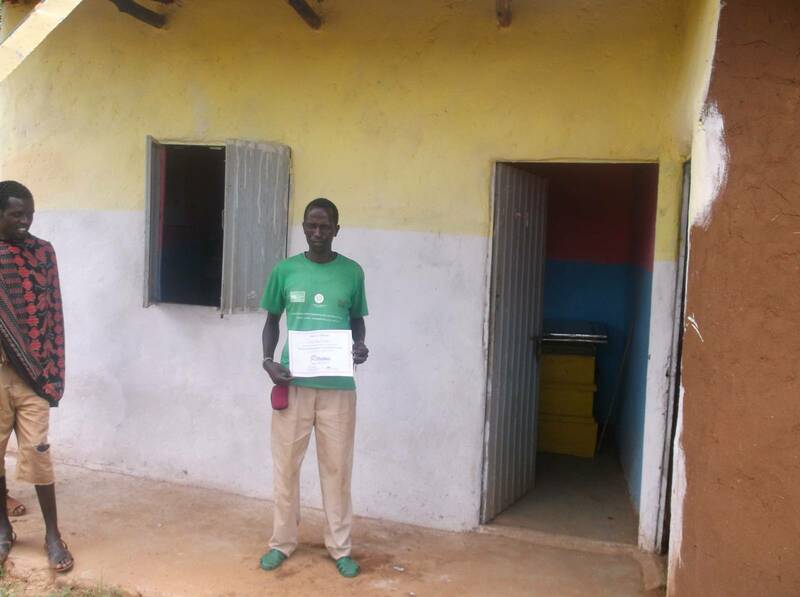 This cooperative helps us a lot - members can take out loans to start income generating activities. If we encounter sudden problems like getting sick, we can get access to a loan to help support our families and solve our problems. 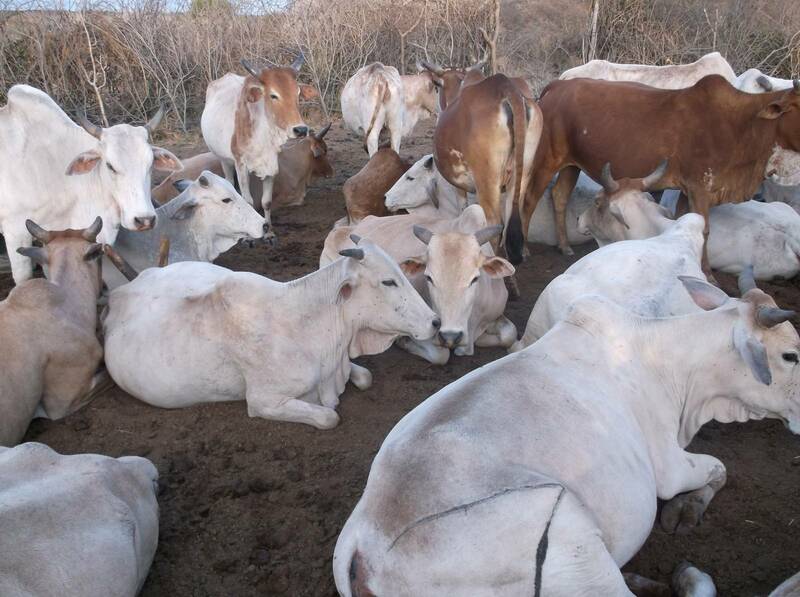 During drought, when animals can't give milk we can get a loan to buy grain and other products to sustain our families. In hard times, even those who are not members can request a loan and will be granted one if his/her problem is deemed serious enough. I am proud of these cooperatives in my area and wanted to show that we have established these organizations to support people of the community. If a cow is full of water and has been fed, it can be slaughtered so that we can read its intestines in order to forecast the weather. Just as our photography training has taught us to use light to make the pictures we take clear and so that they can carry a message, the cow's stomach must be full so that its intestines gives a clear prediction of the weather to come. Without a full stomach or in the dark, you cannot see the message clearly. My eyes hate the site of this and so I captured it to show people - This is the office for the Cooperative provided by and NGO AFD - Action For Development. It is the communities responsibility to maintain it and care for the building. There are important documents and papers inside and yet it is not looked after. It must be maintained so that people can use it and learn from what is inside. The managers for this building have money - so why are they not able to maintain it? This is the only water point found in our community and is used as a source of drinking water by both humans and animals. 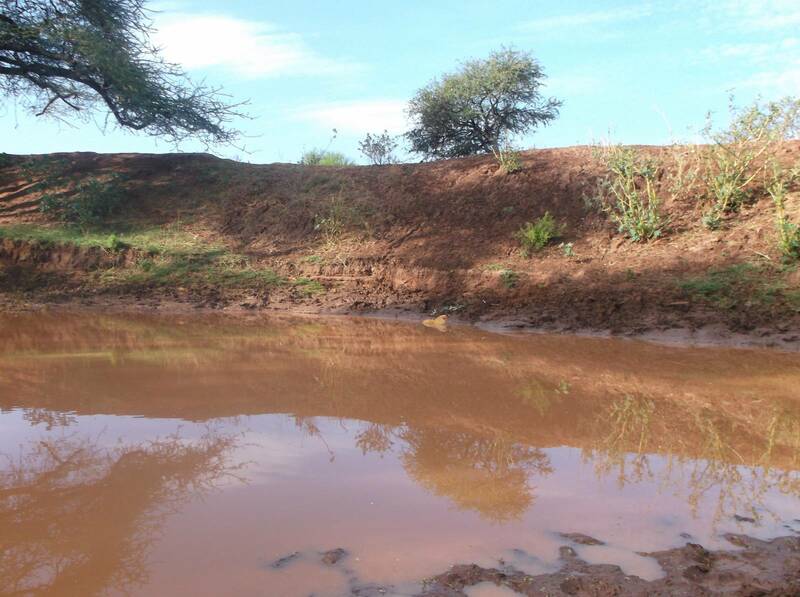 Normally we try to protect this water and only allow the small and vulnerable, old or sick livestock to drink from it . Stronger animals can travel further, often for two hours each way in the search of other sources of water. But currently, the other sources are too far so all animals are using this one and it is becoming depleted. If we had other water sources , we could protect this point to support our livestock. I wanted to capture this to show how the need for water conservation and storage is a critical issue. I wish that we will have the opportunity to have clean water. We try hard using the water pump, rainwater harvesting and water springs, planning so that we can achieve good health for our futures. If all of Borano was green like this, we wouldn't have any problems. 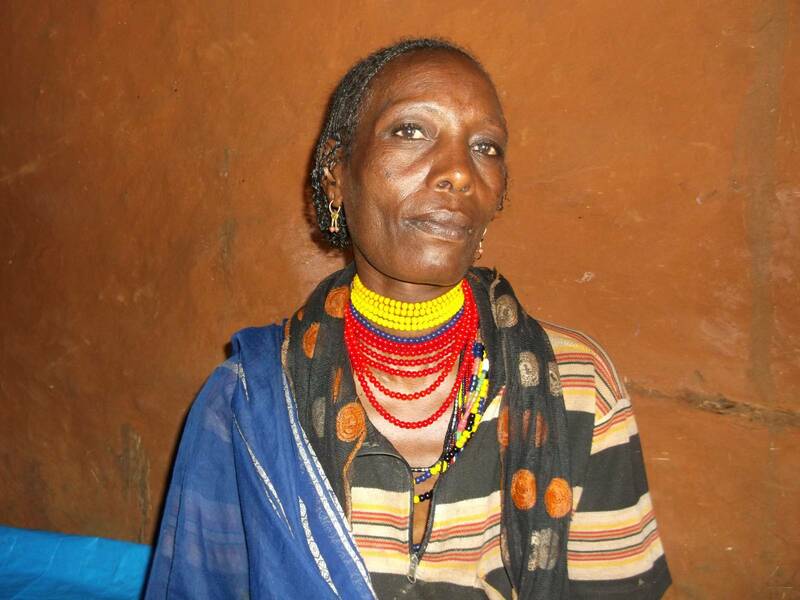 Borano people would be well and healthy and we would not suffer as we do from reoccurring drought and floods. But we don’t have the preparatory money and resources, and so our land is vulnerable. This green and rich land which you see in the photo, is my vision for my community. You see me here and you must know that I wasn't always like this. I used to be young, clean and pretty but money difficulties and life challenges have aged me and made me loose my looks. I need a clean environment to be comfortable. There is a government extension package which advises us to keep our households clean and to keep livestock, food preparation and humans separate. I am a member of the house of representatives and a leader of the community. 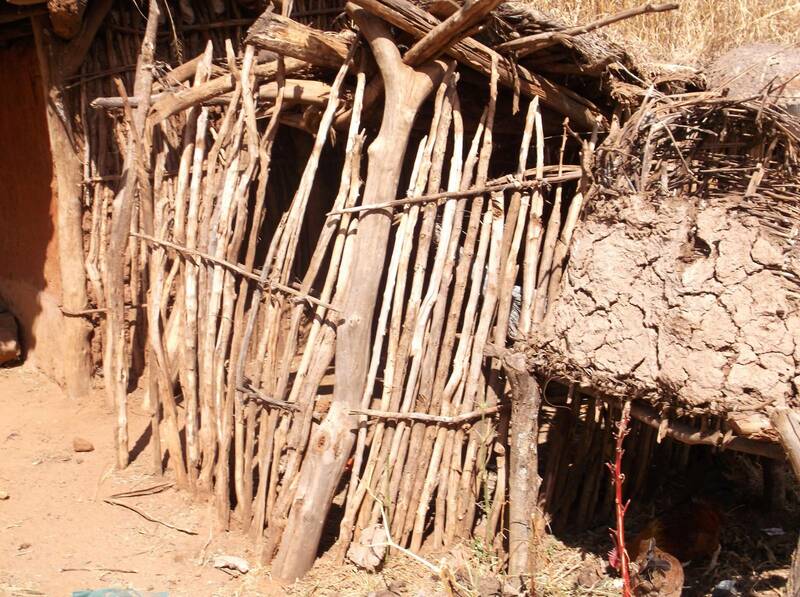 In my home I have even made a separate bathroom and so I am proud to be a role model to my community and encourage other villagers to do the same. Formally this grain grinding mill wasn't here. The cooperative established it in 2014. Before it was established, mothers were forced to walk 3-4 hours to grind their grain in order to make staple foods such as bread and ‘Injera', but thanks to this mill they travel much less and this one store can serve the whole community. Each person pays a small fee so it is a business that can generate finances. I was coming from another village early this morning and I found these children left alone. 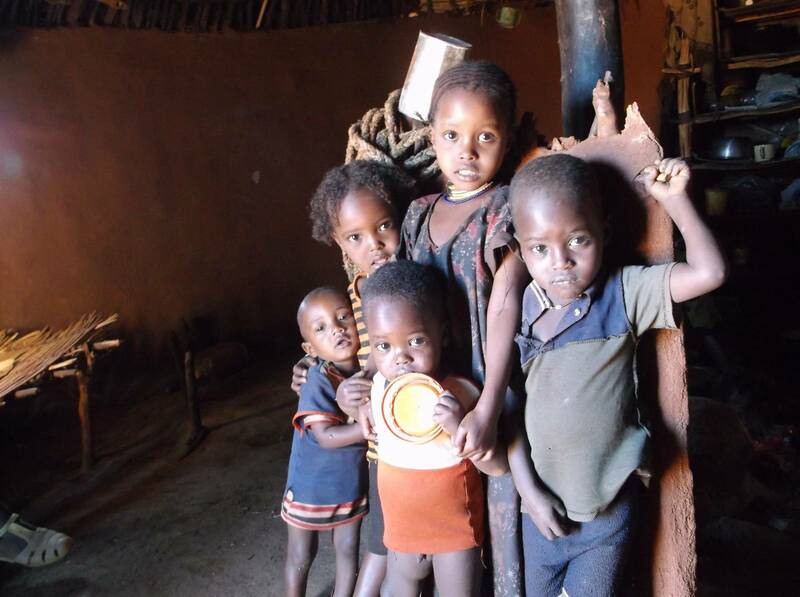 Their mother and father are very poor and have gone to collect wood from far away. I found the children playing in the dirt and eating soil because they are hungry. I was amazed because they are alone and so vulnerable with the wild animals. If a snake came, what would they do? They are only very young. Look how close they are in age - there is no family planning and this family does not have the capacity to look after these young children. My message is that family planning is so important to support the children that we already have. By not using it, we expose our children to malnutrition, disease and poverty from the expenses of a large family. It is assumed that the oldest girl should look after the others, but she is too young to even look after herself. I captured this because the women is a very old lady and she is helpless because she has no daughters here to support her as they live far away. Her son is also far away tending to his livestock. 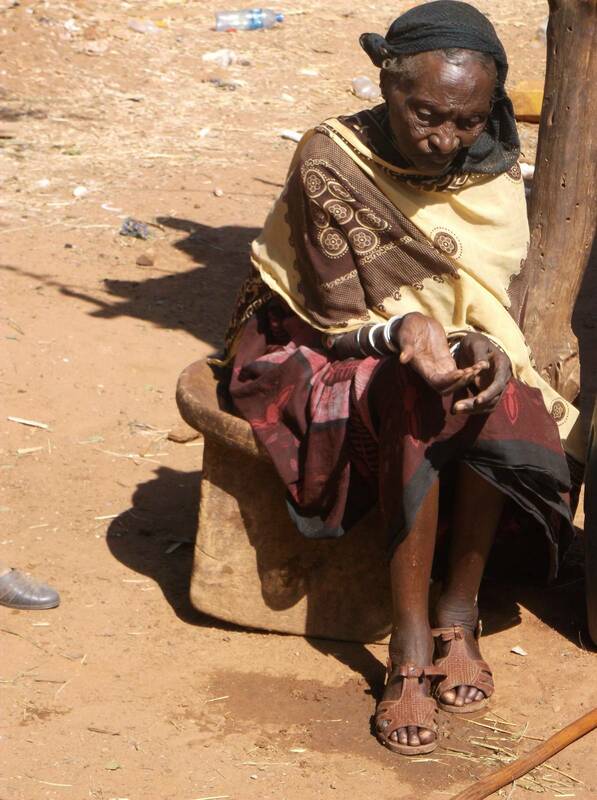 Even though her sight is very poor, she has to fetch and carry water for herself - she has slipped and fallen on stones and here is being seen to in the medical center. Older people in the community should be taken care of and need to have support. 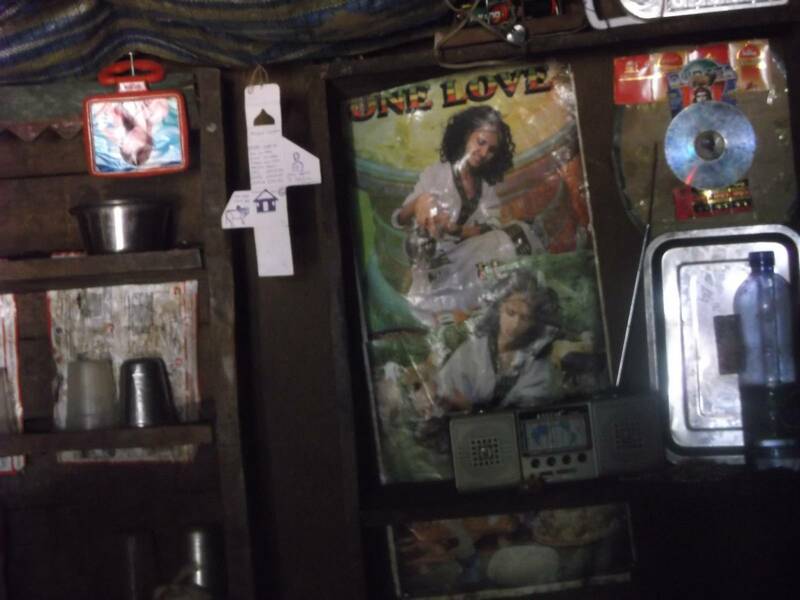 This is my restaurant in my home. It is called after my husband's name but I started it myself by making bread to sell to the community. Now I'm also selling Injera and Chiro. Most women rely on their husbands to provide them with money but this isn't good and so I was motivated to start this business and strive to make my own money. Even if the restaurant does not do fantastically, I am proud that I can work for myself in order to provide enough money to support my children. I am interested in biology and chemistry. This periodic table is related to climate chance and can contribute to a modern approach of weather forecasting. The mixture of these elements can bring change in the season, forming gases and even bringing rain. This gully is formed by erosion. A few years back it was a good road for people and vehicles. Now it has become a canal to carry floods. 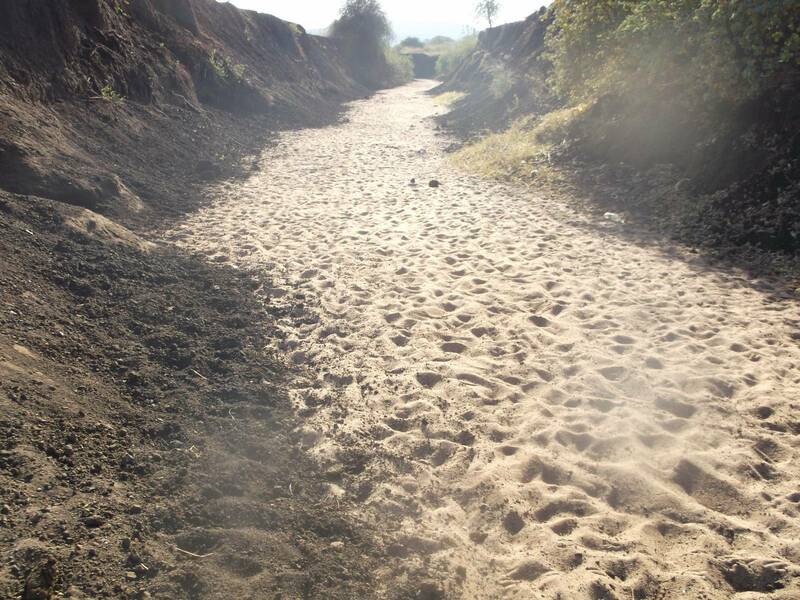 People cannot pass this gully and our own livestock cannot reach the other side to greener pastures or our village. During the rainy season, this gully fills with water and poses a risk to young children, the elderly and vulnerable who could fall in it. That's hard, I worry. 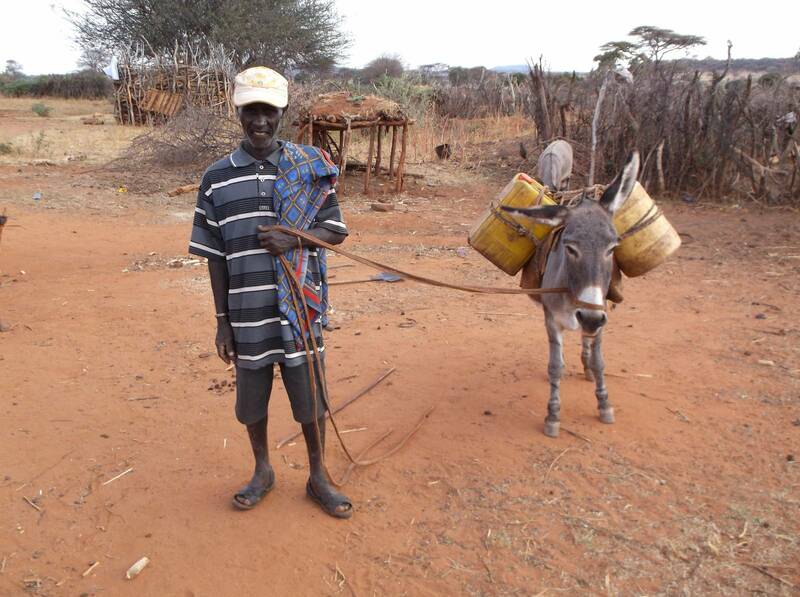 During the drought, times are hard and we fetch water from very far away using donkeys to give drinking water to the old or very young livestock to make them stronger. If we do not bring it to them, they become weak from having to walk far to find a water source and if they become weak, they are vulnerable and won't survive the drought. Most of the time in Borano culture, heavy workloads like fetching water are the responsibility of women and become a burden to them. We need to share the workload - we are stronger if we work together to build our capacity and potential as community in order to survive bad times. I have one donkey but I hope to buy another so that I can carry twice the load, which is four times the load a women can carry. These are tools that we use to respond to drought. The wooden stick with the curved end is called a 'Heko' and is a traditional tool used to thin the bush and invasive plants, which are too sharp and thorny to clear with our hands. We thin the bush to reserve an area for pasture. 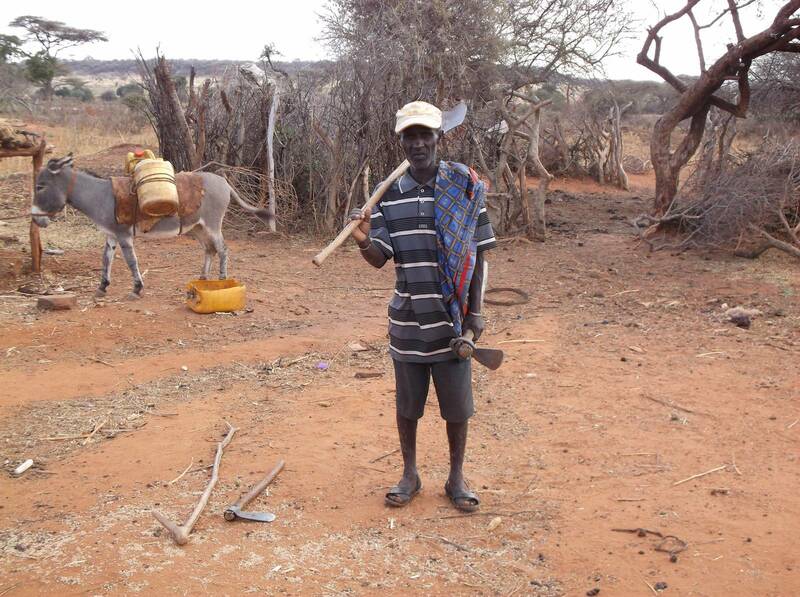 The other tools are used to dig ponds from the ground to create water sources for the community. These tools are essential as they help us to prepare and build our resilience to drought so that we can survive. The work is hard so first we discuss it with the committee and draw up a working plan in advance. This will dictate the size of the area we clear and our working hours, normally 8am - 2 pm. 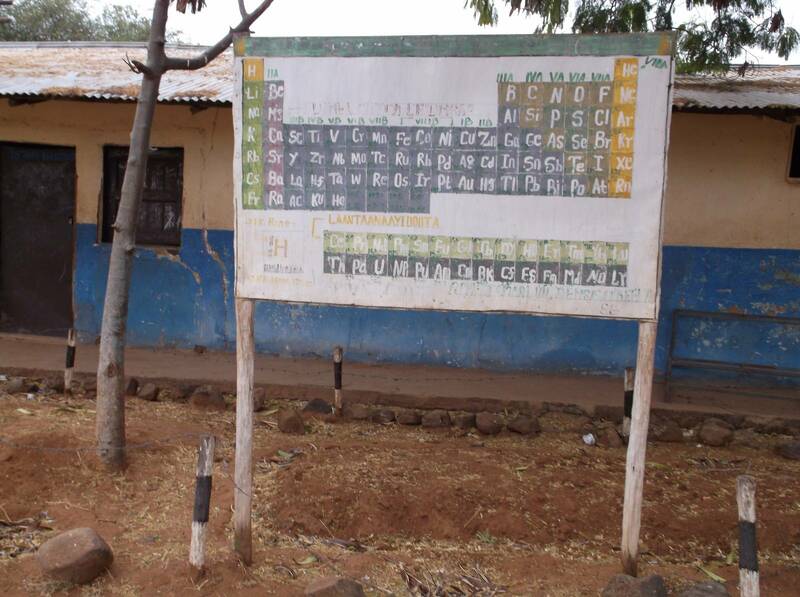 Formally this space behind the community school was a pond from where we fetched water. 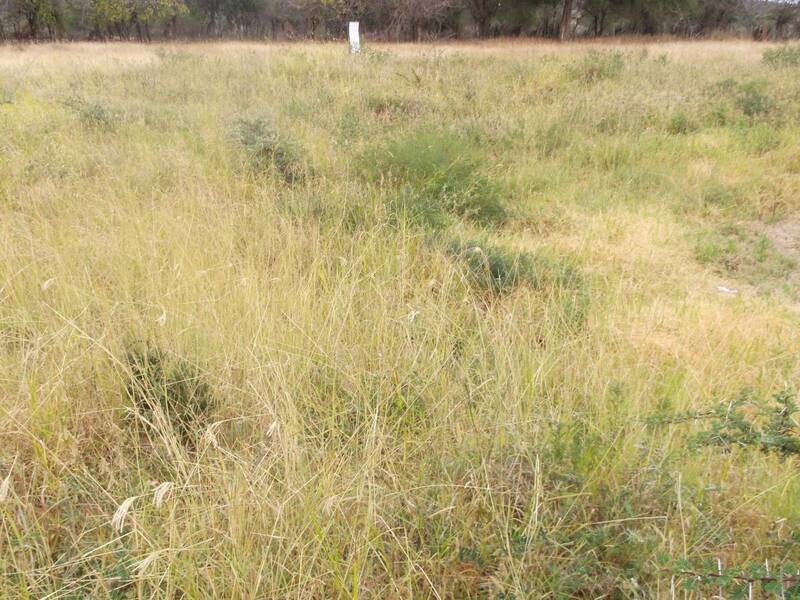 But when you have a pond like this, you need to rehabilitate it and clean it regularly as floods wash dirt and soil into it, making it inefficient for drinking water. 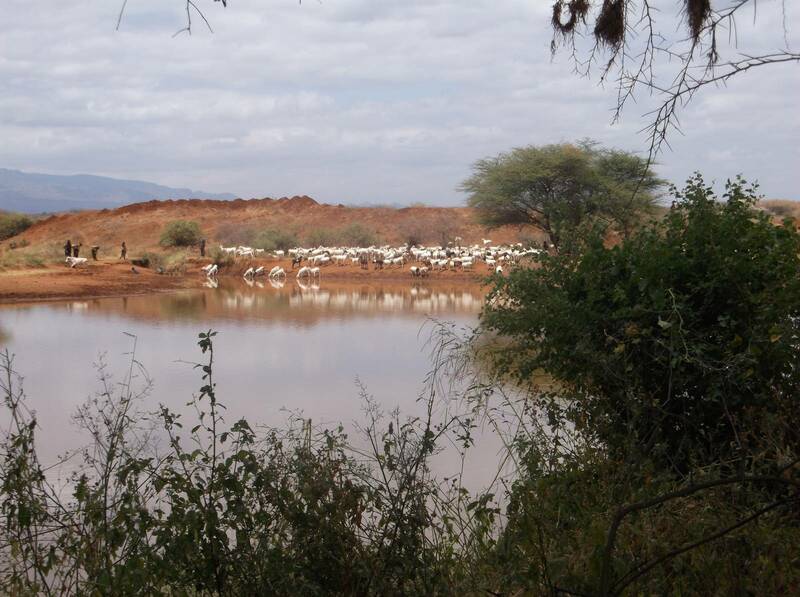 Traditionally Borana people have a water manager who is assigned to every pond after it is dug by the community or developers. This manager is called an 'Abaherga'. The Abaherga rations the water. Everyone who takes water is given a task a repayment such as cleaning the pond. The previous villagers did not maintain the pond well and now it has dried up. We must manage our resources otherwise we will loose them. Women have a very strong role in climate change preparation and response. They undertake many important tasks such as collecting and storing resources to create food banks for livestock for hard times, and water fetching during drought. It should be recognized that women are as equally important as men in development. Formally we were not permitted to attend community meetings and were not represented in community committees. Now this has changed and we are actively involved in decision making and contribute to building coping strategies for the whole community. We are equally as important. 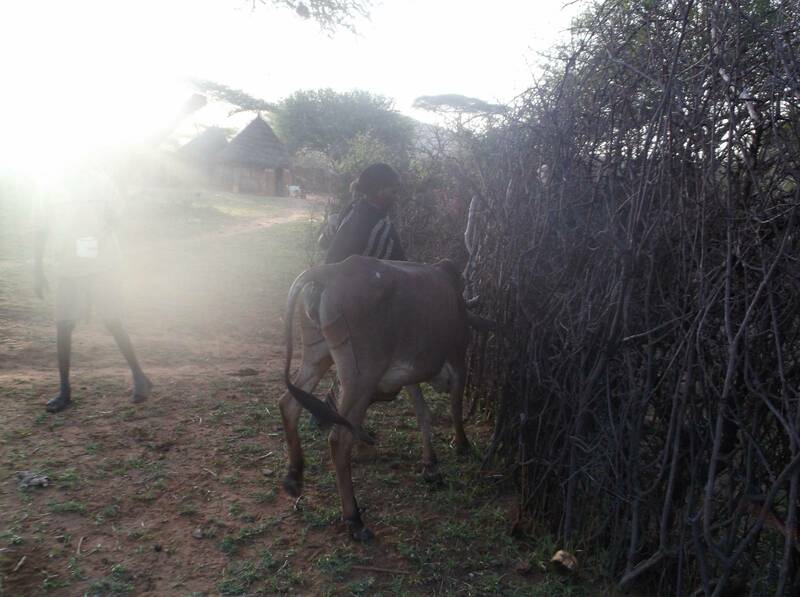 She is collecting grass and pasture from far behind her house so that she can give it to the cow every day for every meal to feed him and provide him with strength. She must collect it and organize it carefully so that the wind and rain do not destroy it before it reaches the livestock. It is very hard work and she travels far from her village to achieve this - it is a big burden for women. This is a way to cope with droughts and build our resilience. As you can see the cow is thin and weak. Therefore we must follow him and feed him the grass that we have cut and collected so that he can gain strength and live for a long time. 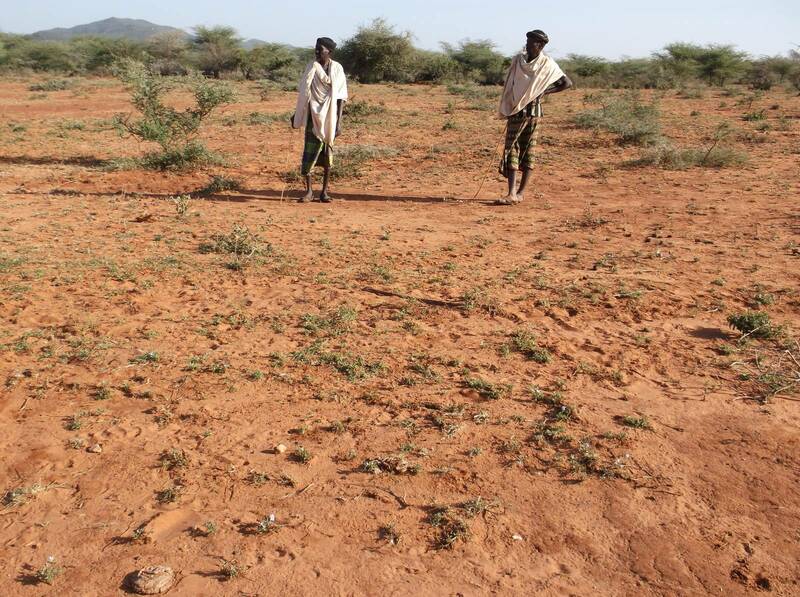 Everybody must see and learn about the impact of drought from this image. 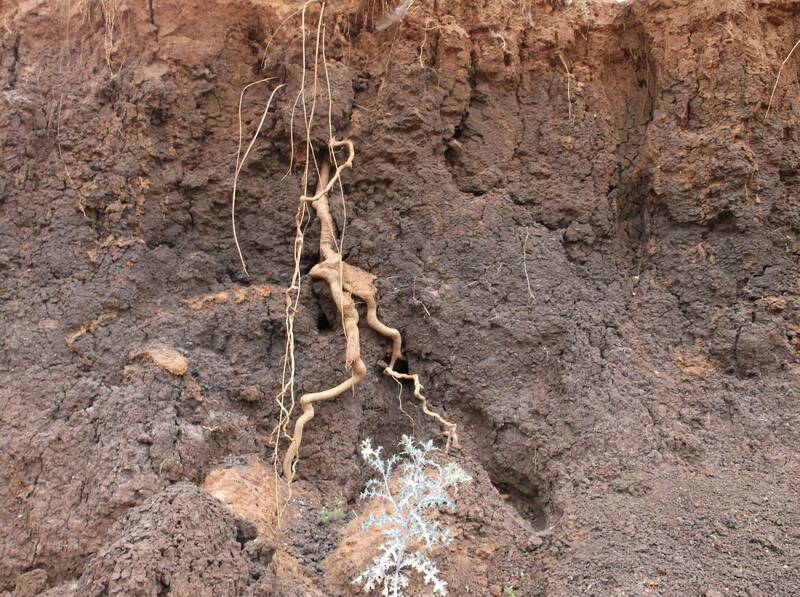 This picture shows an exposed root that are found behind the school compound. Floods have created a large gully and we worry that future floods could even reach the school and destroy it. We must take action. If we are silent, the damage can only continue. This water is simply not clean. Both humans and animals have to drink from it. It is the only water source we have. Even this water source won't last for a long time and will dry up after the rainy season . So it lasts only 1 month and 15 days. 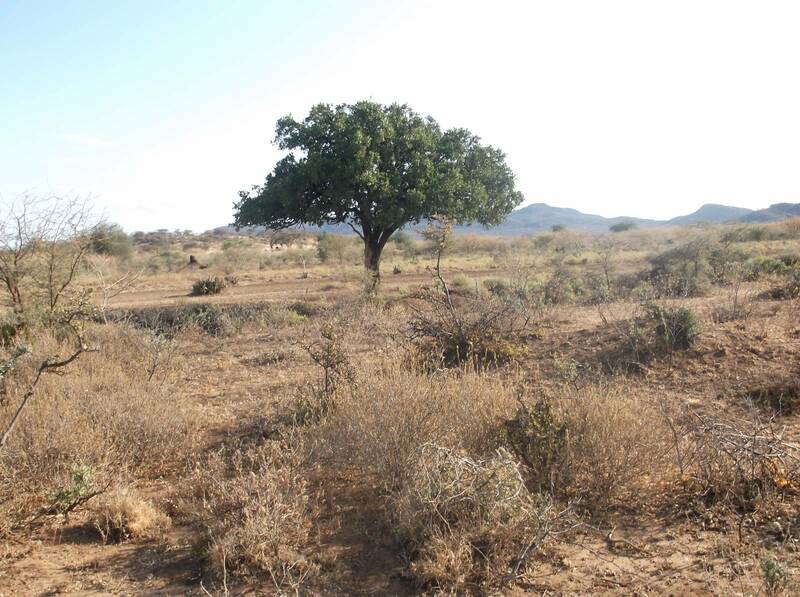 It serves 3 clusters (communities) and our cluster is very densely populated so in the morning, everybody, including livestock and donkeys, come here to fetch water. When it dries, we are forced to go to Galchat which is 4 hours walk away. Everybody worries it wont last. 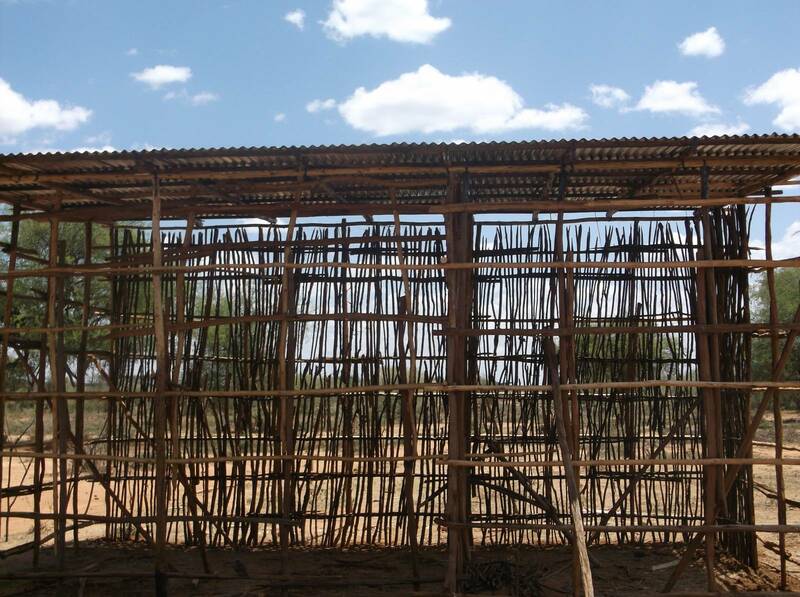 This hut is to store food and vulnerable animals in cases of drought, and so it is very important to me. My husband built the structure but it was me who collected the wood with which to make it. 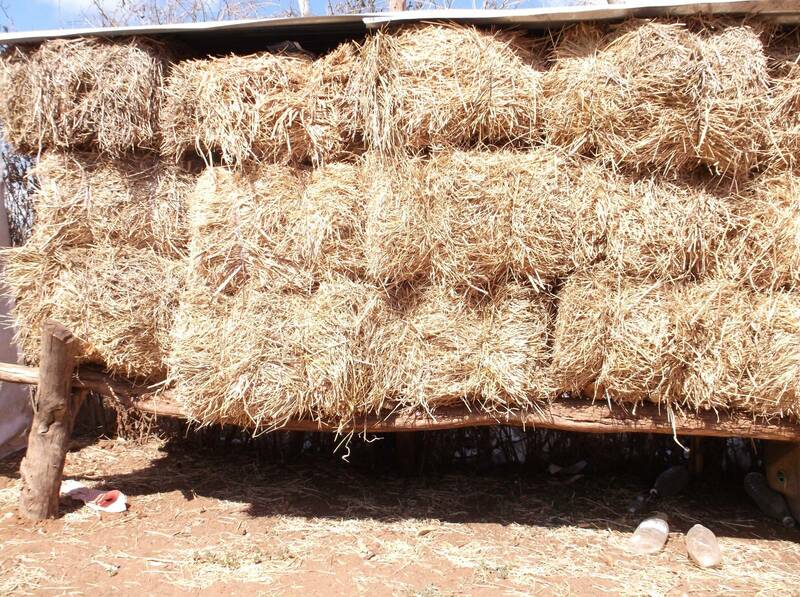 There is storage for small and vulnerable animals below and above is a bank of food. 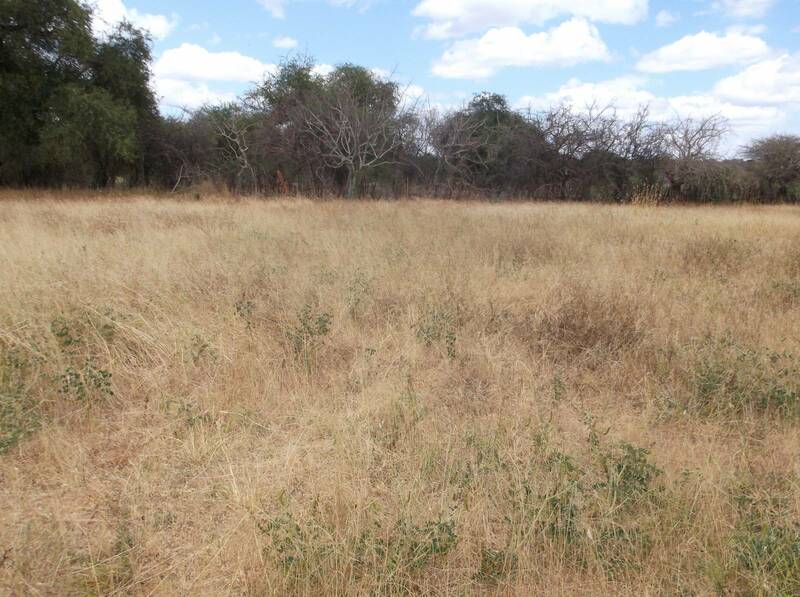 During the dry season and drought, I use the animals kept here as livestock as the older animals may loose energy with lack of food. 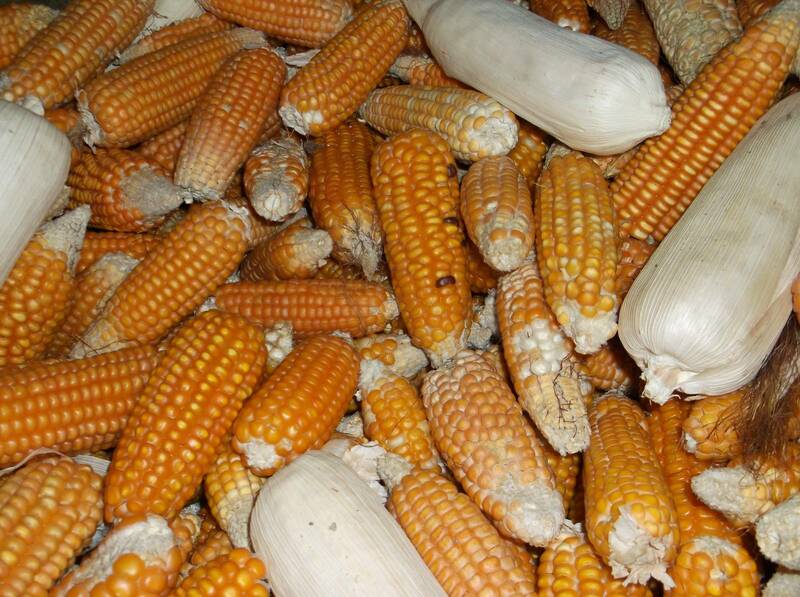 I am trying to forward plan and collect maize for another reserve of food for them during hard times. I have many plans to be prepared. He is preparing to respond to drought. 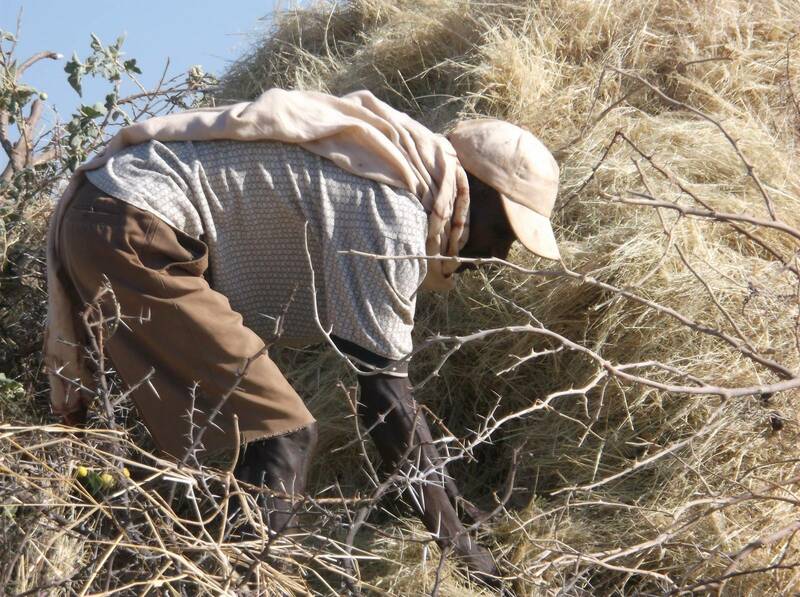 He is collecting the pasture during the good times and storing it carefully for times of bad weather. 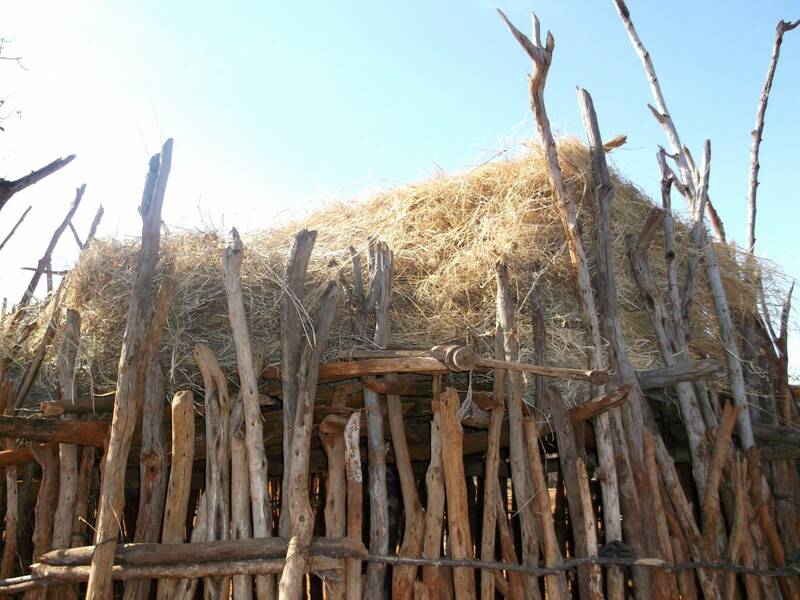 With this he will be able to feed his animals when there are no crops growing in the dry soil. After he has collected it, he will fence it to protect it from other livestock so that when the time comes, he is prepared. As a pastoralist you have to engage with these issues rather than keeping quiet, this is how we will prosper. There is a great shortage of water in this community. 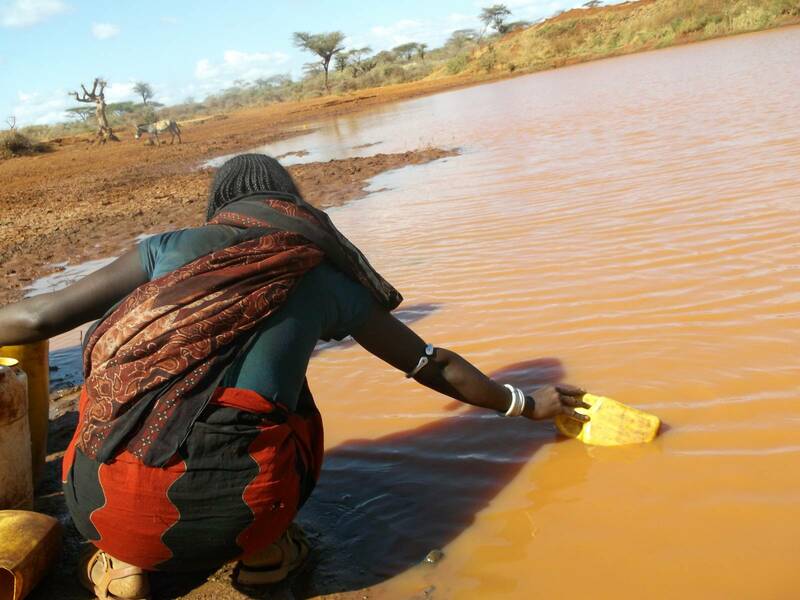 Many people work very hard to fetch water and often the sources are very far away. Pumping the water is extremely hard work as the well is very deep. There is always so many people waiting around the pump, but they cannot go home empty handed so are forced to wait for hours each day. Once a pregnant mother gave birth while waiting at the pump. She was lucky that there were many women around to help her and take her and her baby home safely. This a local tree called 'Garse'. If we watch this tree we can even forecast the weather. If drought is coming, the fruit becomes reddish orange and the leaves will fall. However, if there is good weather to be expected. it will remain green and rich like this. From this photo we can tell that there are good times to come and rain will fall. The cows are scattered and sleeping further apart. I am very happy to know this and to have an indicator so that our farmers can prepare in advance . They do so by beginning to clear the plots and preparing to cultivate them - then we can open our reserved rangeland because we have an idea of the season to come. 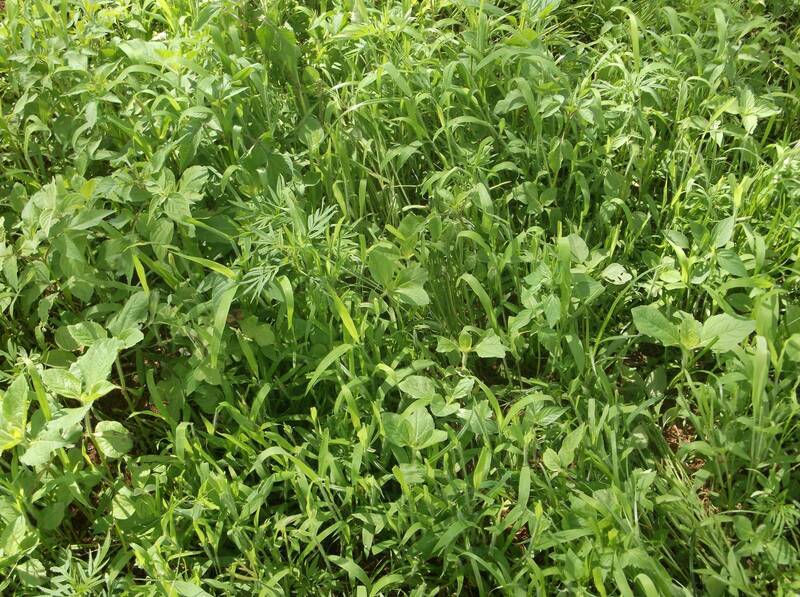 This is an example of how to cope with extreme weather by finding pastures and harvesting them for drought. Everybody must take preparatory actions like this to cope with the hard times. Even though there is drought, the livestock status is good - just look how healthy they are. This is because the the owner has a private reserve store to feed them. Everybody must do the same and prepare like this and if we are to prosper as a community. 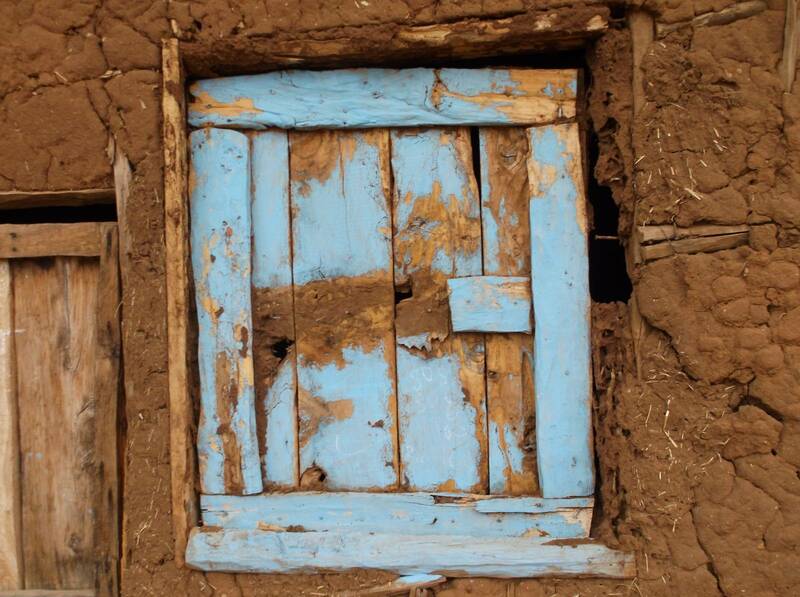 PhotoVoice worked in partnership with Christian Aid as part of on-going programme called BRACED, which aims to build the resilience of vulnerable communities to climate extremes and disasters in high-risk locations of Ethiopia. 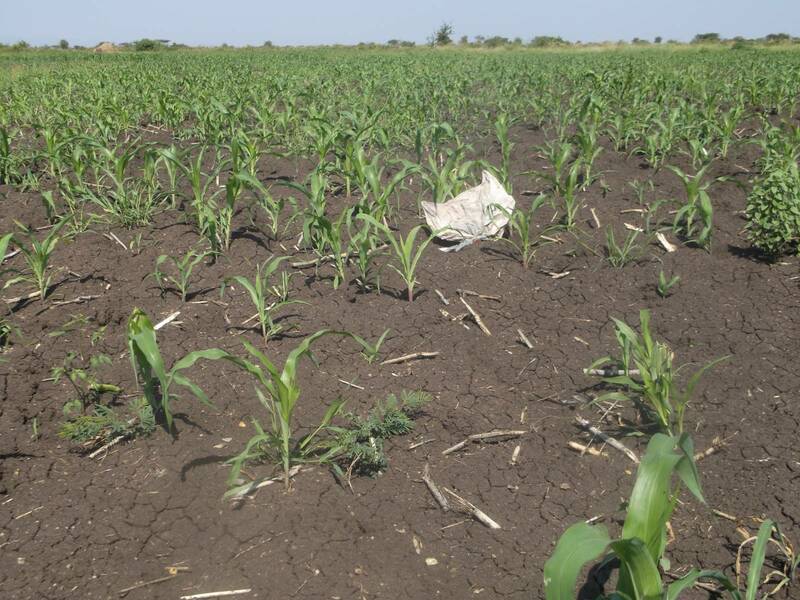 Climate change is having significant impact on climate extremes in East and West Africa. It is increasing the frequency and intensity of droughts, and threatening already vulnerable livelihoods and the existence of some remote rural villages. 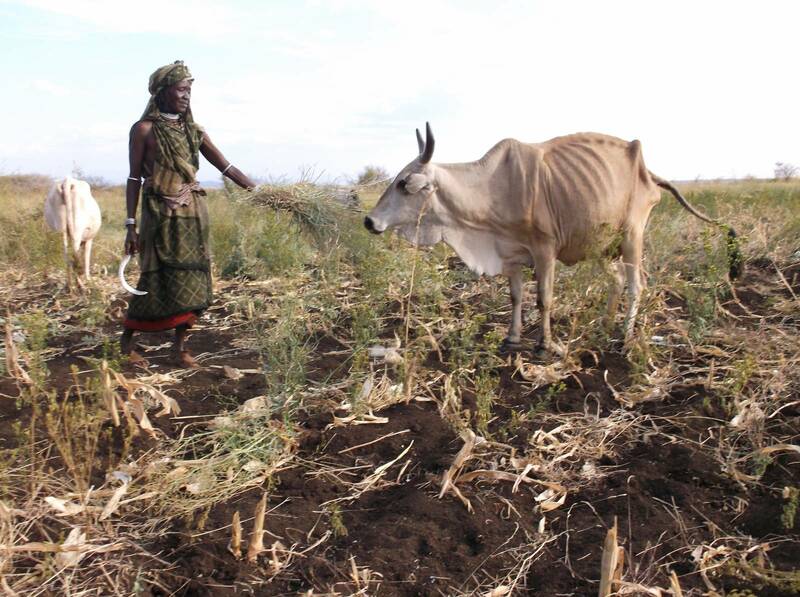 It is also undermining the traditional indicators (such as livestock behaviour) that farmers in these regions have used to predict the weather and seasonal climate, limiting their capacity to adapt and protect their livelihoods. 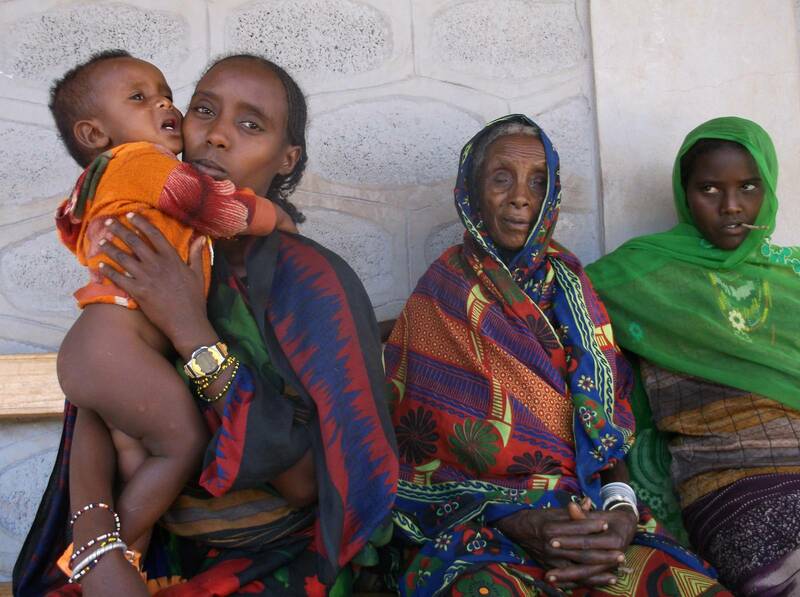 In rural Ethiopia, these challenges are made worse by communities livelihood dependency on livestock and agriculture, limited access to externally generated weather and climate information, and the low capacity of local actors to respond to climate extremes. 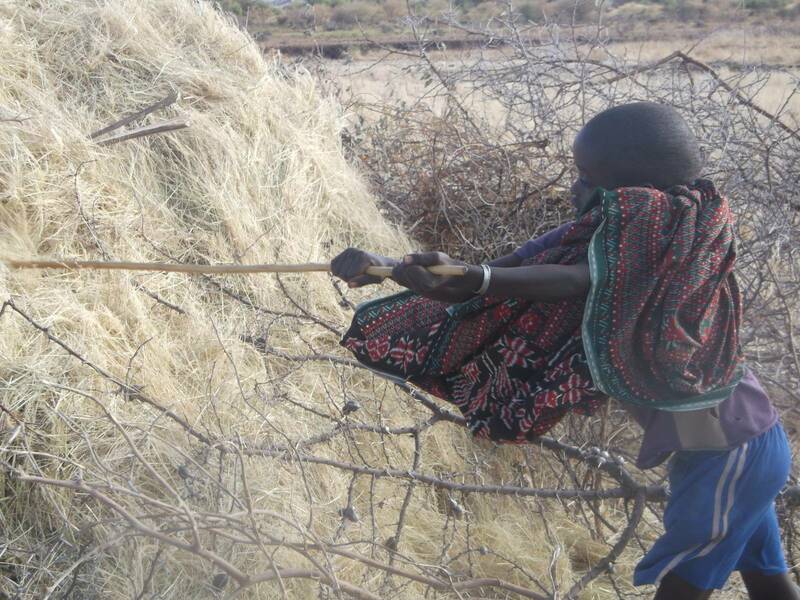 Barriers to communities responding to climate-related shocks include misconceptions and a lack of knowledge surrounding the causes of problems such as drought; attitudes and social norms among some groups which discourage changes, such as livestock reduction and crop diversification; as well as low levels of resources to respond to these threats. Addressing these difficulties and building the resilience of vulnerable people to climate shocks and stresses is an immediate priority and the aim of the Christian Aid-led Building Resilience and Adaptation to Climate Extremes and Disasters (BRACED) projects. BRACED is a 3-year, DFID-funded programme, which began in 2015 and which aims to help people build resilience to climate-related threats in 13 countries. 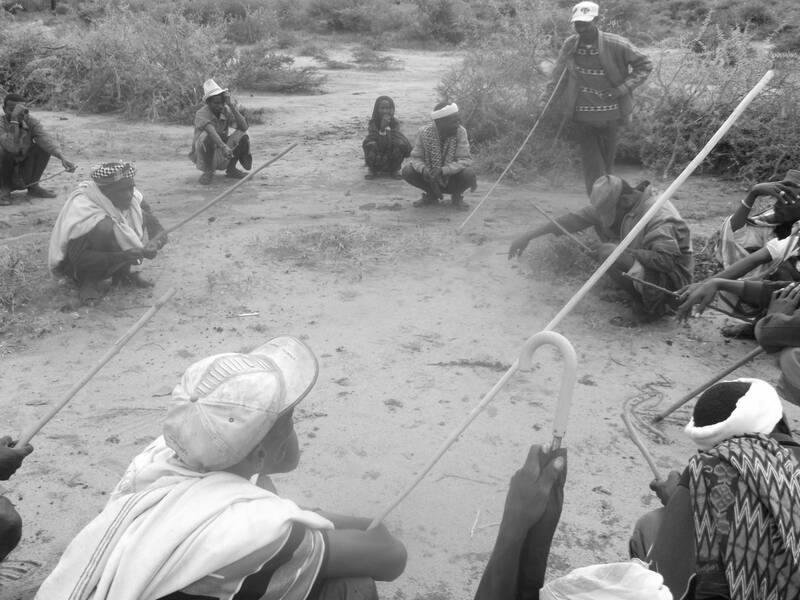 Christian Aid is leading two consortiums in Ethiopia and has partnered with local NGO HUNDEE to deliver BRACED initiatives to pastoralist communities in Adegalchet, Oromia, with the aim to influence climate policies and practices at the local, national and international level. The initiatives seek to build the resilience of vulnerable people to climate shocks and stresses through strengthening climate information services, risk communication, behavioural change and the sharing of skills and technology. In order to record the progress of the project, Christian Aid has partnered with PhotoVoice to provide selected community members with cameras and training as Local Monitors. In August 2015, PhotoVoice began by training staff from local partner organisations in participatory photography theory and practice, providing the skills, which will be utilised by the organisations in their ongoing engagement work. PhotoVoice then travelled to the Adegalchat locality in the Yabello District where participants, representing a wide cross-section of the Adegalchet community were provided with participatory photography training and a platform to voice their opinions and identify the most important developmental and climate change issues affecting their community and determine the evaluation areas based on their personal experiences, expectations, fears and aspirations regarding these issues. Over the course of the next year, these Local Monitors will document their experiences of change within their community and lives as a result of BRACED project, promoting participant and partner learning and providing insight which can inform future BRACED programming. When asked, 100% of participants reported an increased confidence in their ability to take photos and caption them to share their feelings and opinions about their community and the impact of BRACED. Following the workshops, all participants reported an increased confidence in working independently in their new roles as Local Monitors. 100% of participants reported an increased engagement with climate change issues and their communities’ capacity to address these issues. The workshops provided valuable insight into the direct impacts of severe weather on livelihoods and contributing factors which can limit or expand capacity to cope with climate change, including local knowledge on opportunities to build resilience and minimise the community’s vulnerability to these impacts. A local community engagement event and exhibition showcased selected Local Monitor baseline photographs to celebrate the achievement of participants. 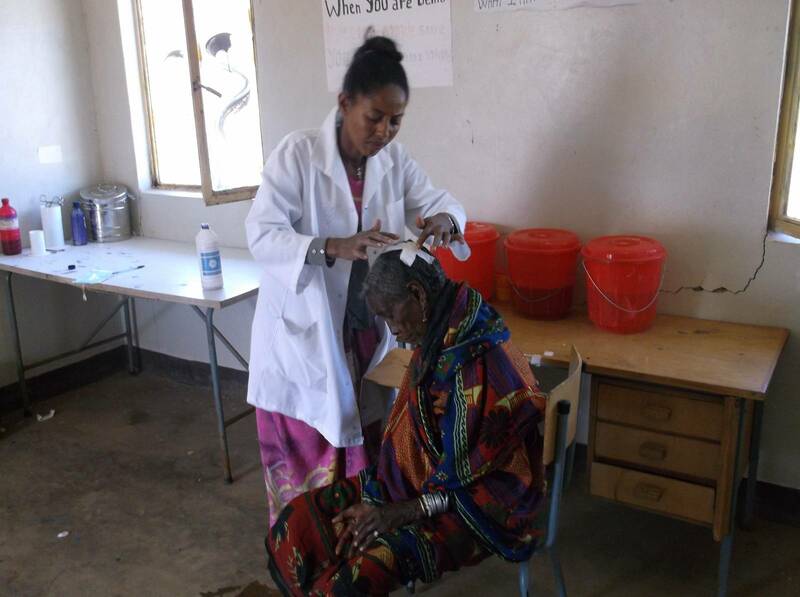 In March 2016, Projects Manager Kate Watson returned to Yabello to conduct follow up field work which focused on the evaluation of the project. The participatory evaluation workshops captured the experiences of Local Monitors and provided insight into the impact of the PhotoVoice project in Christian Aid’s ongoing participatory monitoring and evaluation the BRACED programme, informing recommendations for the further future incorporation of the photovoice methodology in future BRACED programme activities. In the Adegalchat community, strong progress has been made in addressing issues relating to climate change and increased resilience to cope with the changes this issue brings . 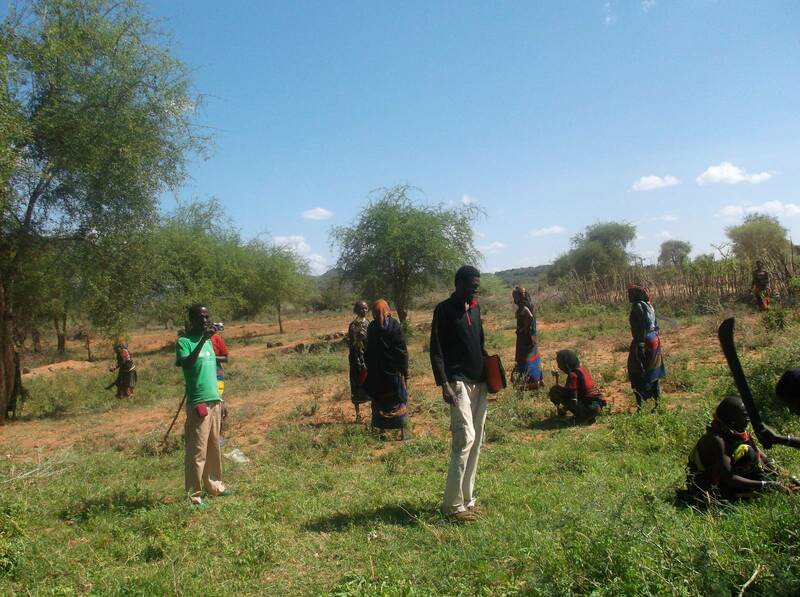 The project has successfully managed to build the individual capacity of Adegalchat community members, creating a strong group of skilled Local Monitors who are now able to include their own, and the wider community’s voices in the development of climate change resilience building interventions. The images produced provide a clear picture of the issues around extreme and/or erratic weather events at both a personal and community level, and offer valuable insight into the ways in which communities like Adegalchat can work with Christian Aid and local implementation partners, HUNDEE to adapt and modify behaviour in response to the challenges climate change brings. Participants report increased empowerment and agency in identifying and communicating priority areas for development and climate change adaption, and their work has led to an increased awareness of the issues and resilience building strategies in the wider community. 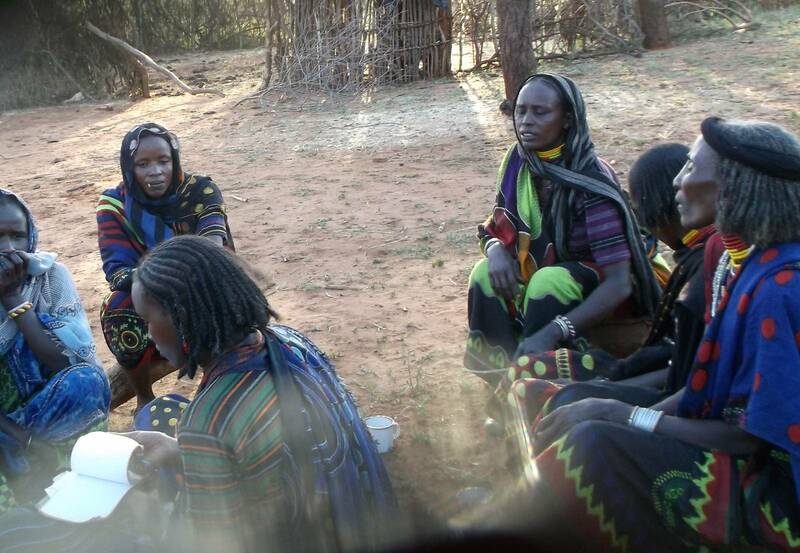 Increasingly, participants are able to communicate their priorities and perspectives and have influence at various levels of decision-making, including HUNDEE, the community and at a local and Wordea governance level, both in relation to issues around the BRACED programme and in other community priorities. The project has successfully led to an increased confidence within the community and wider stakeholders in working together towards achieving BRACED programme objectives in a model that is strengthened by local insight and a collaborative approach to change. Local Monitors have effectively adopted the role of community representatives and are able to bring their own expertise and concerns to community development planning, and importantly, advocate on behalf of the wider community, highlighting collective concerns and opportunities and raising the voices of less represented community members. Local partners, HUNDEE credited the PhotoVoice methodology as an extremely useful monitoring and evaluation tool, providing their organisation with new insights into the experiences and expertise of their beneficiaries, and are keen to explore its potential in ongoing communications and advocacy work.